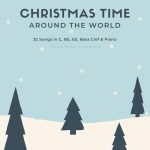 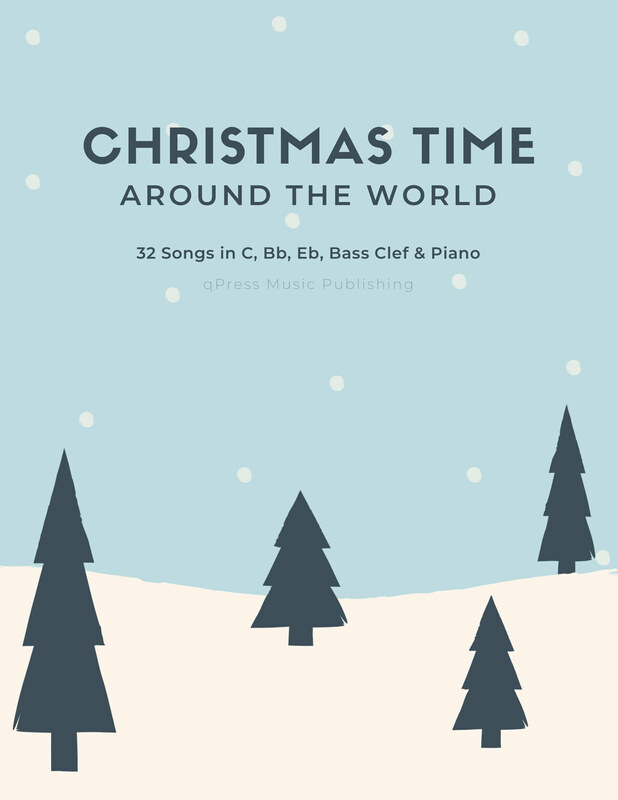 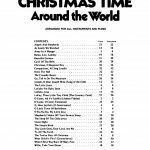 Christmas Time Around The World is a wonderful collection of 32 Sacred Songs arranged for a mixed and flexible group of players. 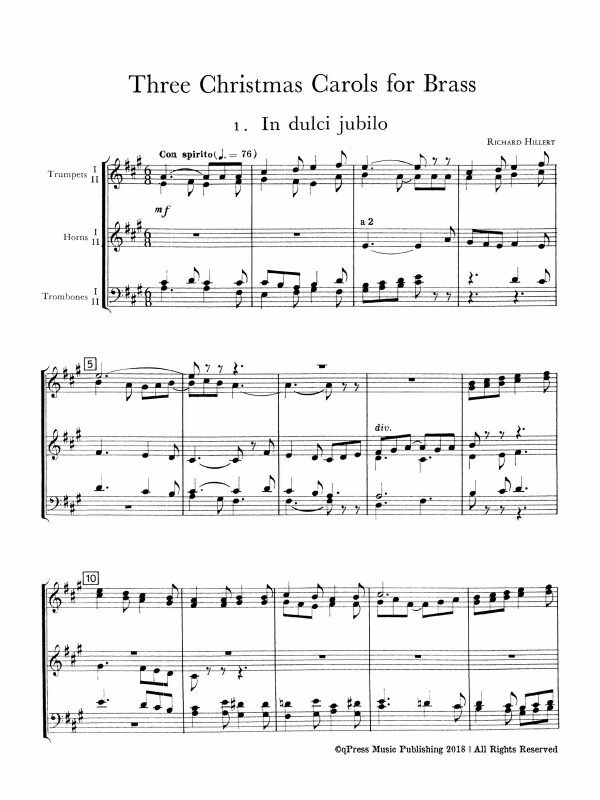 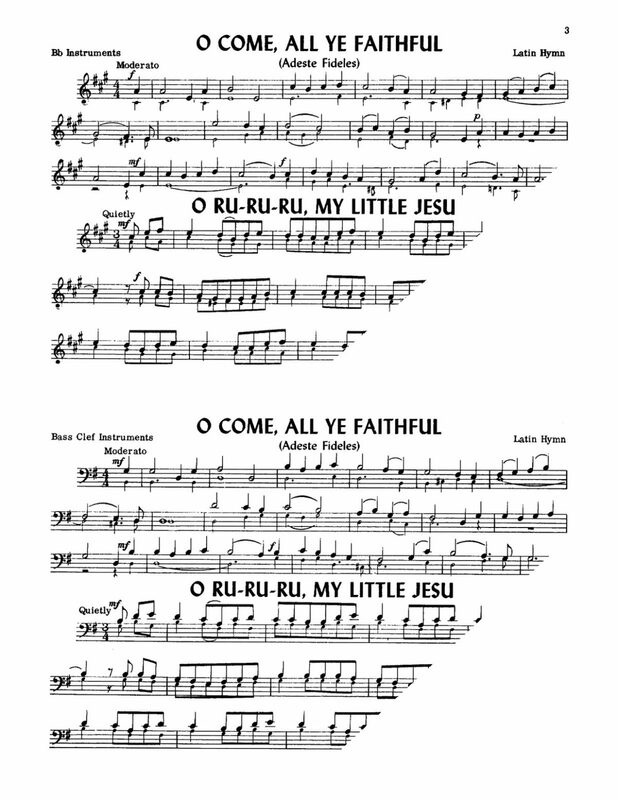 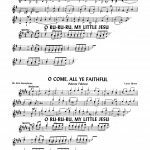 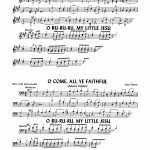 Each page opens up side by side with Bb, Eb, C, and Bass Clef transpositions so players can share a stand in a carolling situation. 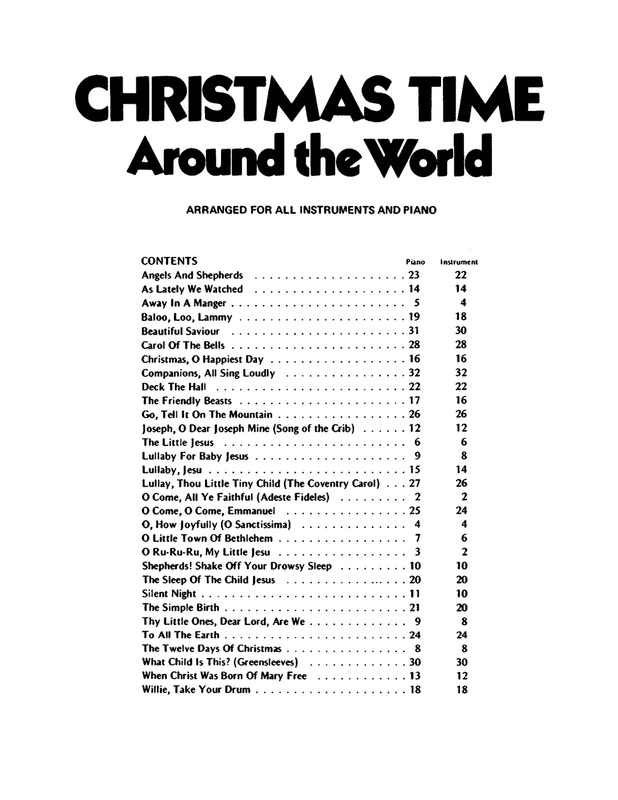 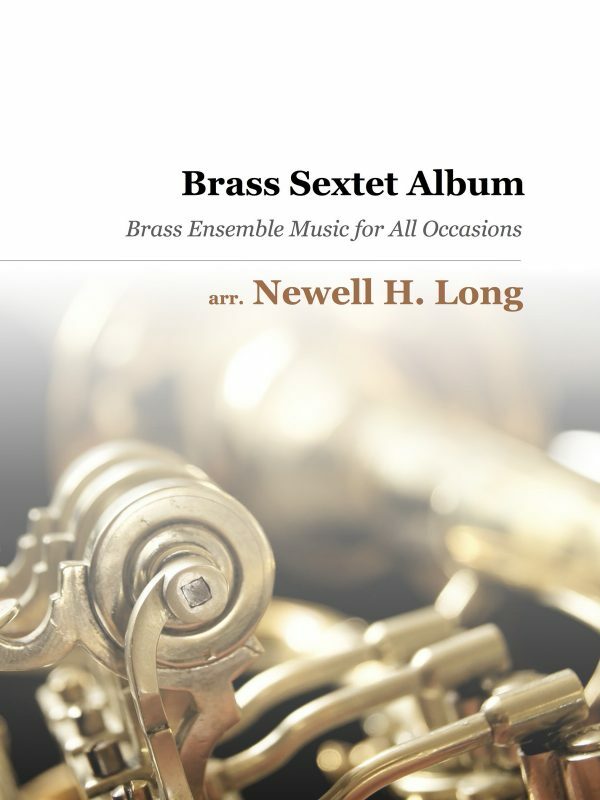 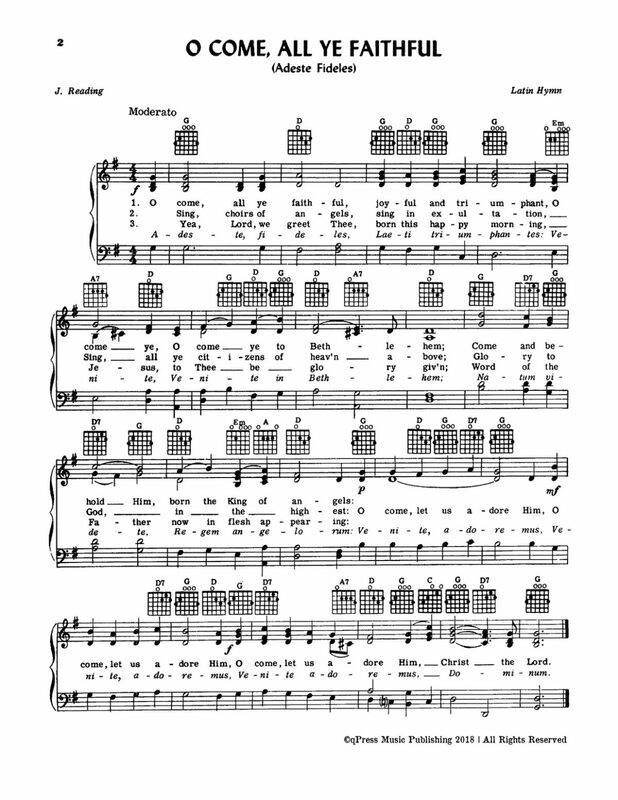 There is a separate book as well for a pianist, in case you plan to use it in a concert or singalong, in which case this book is particularly useful. 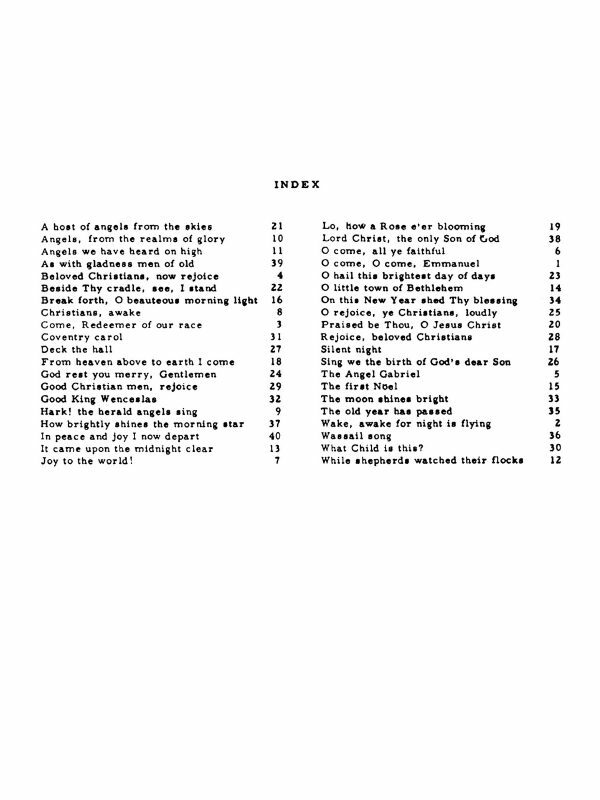 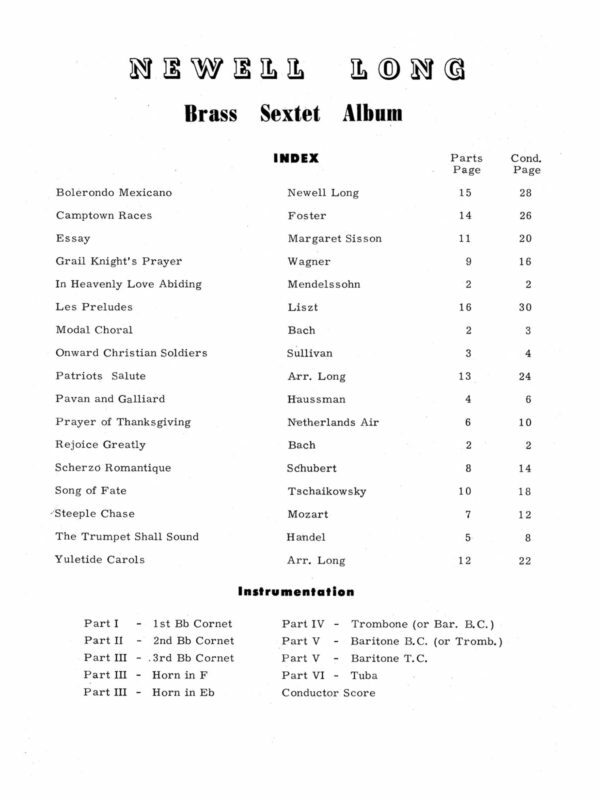 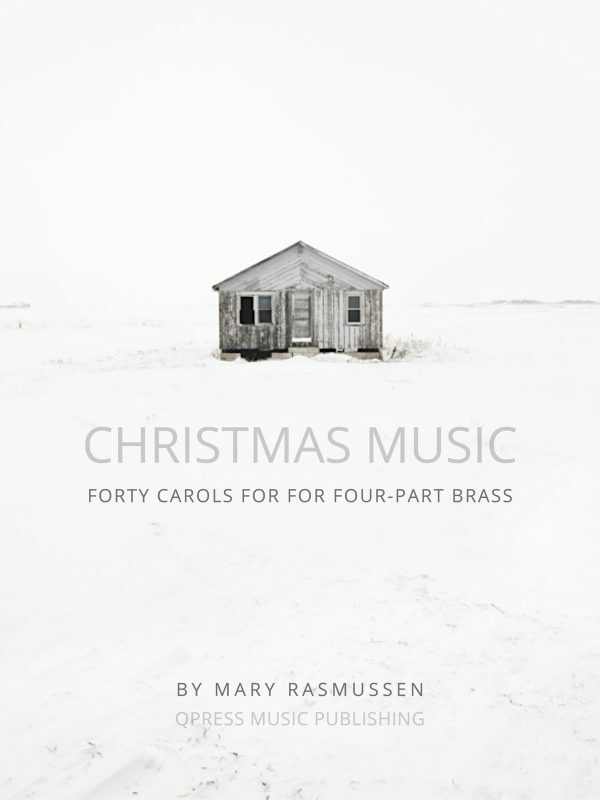 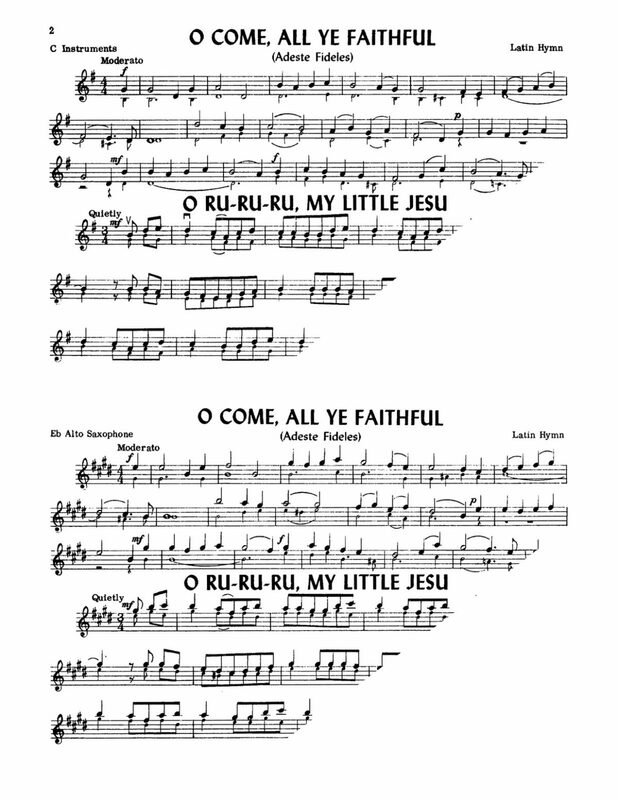 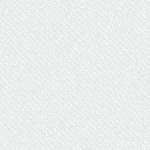 I have included the table of contents to the left so you can get an idea of the breadth of carols covered in this book. 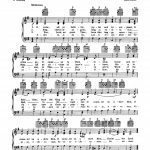 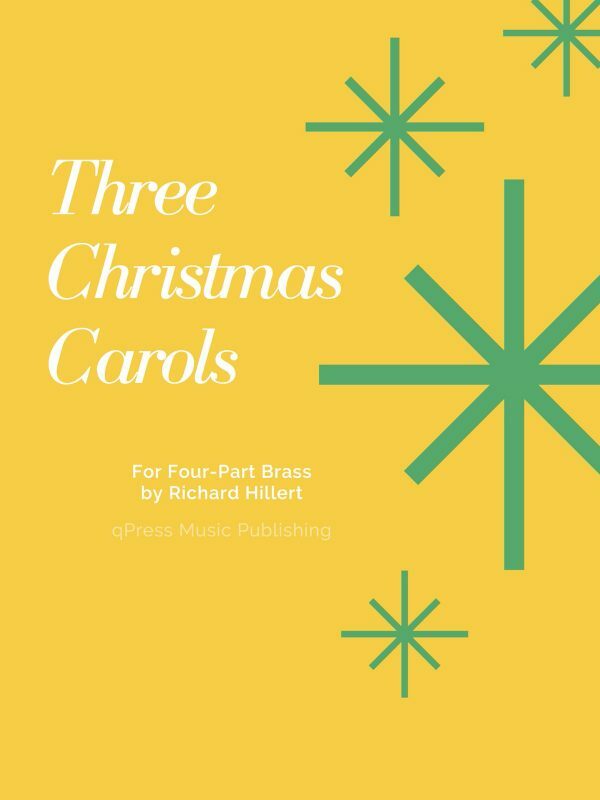 In the samples you will see the first few carols along with the first page of the piano score to show you what you are in for. 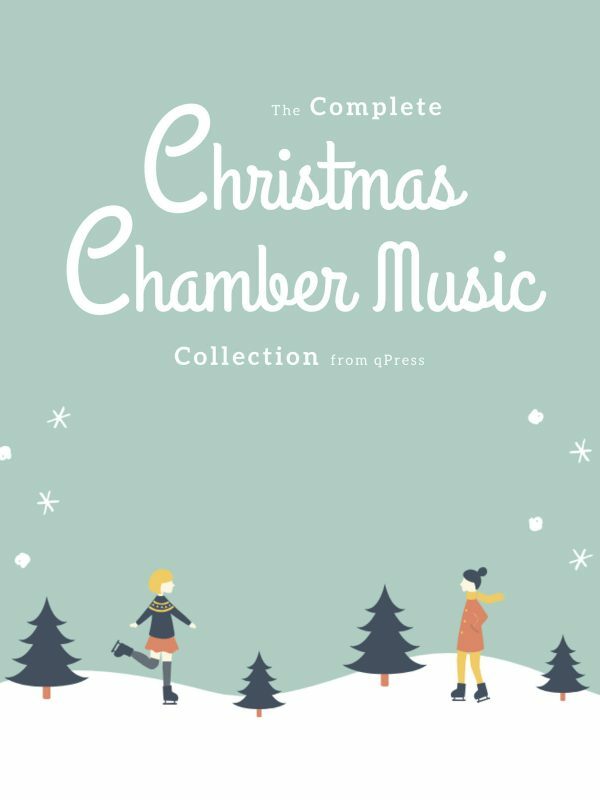 For anyone with a classroom, studio, or family who likes to play, this is the book for you.